Facebook now wants to help you find nearby Wi-Fi hotspots. The social network is rolling out a new feature that lists hotspots for connecting to the internet on its app around the world, it announced in a blog post. Let’s say you’re running low on data, or mobile reception is poor in the area, or you need to find somewhere to work with your laptop. 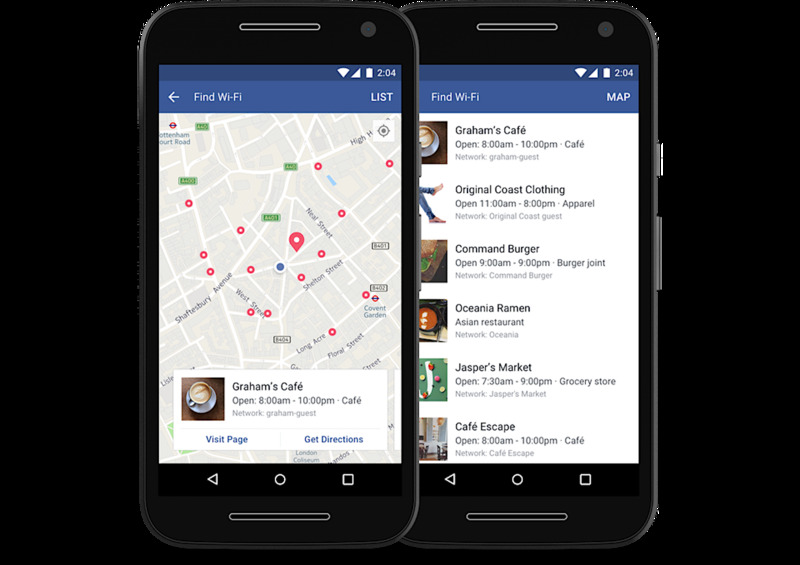 You just boot up the Facebook app, select the feature, and it will show you a map of hotspots nearby — cafés, bars, museums, and so on — that you could visit. It’s available on both Android and iOS, but it likely won’t be exhaustive at first. Companies need to manually add their Wi-Fi network to the app (the same way they would their phone number or street address), and that won’t happen overnight.